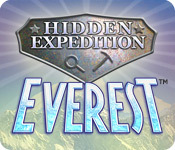 Hidden Expedition ®: Everest is rated 3.3 out of 5 by 40. Rated 5 out of 5 by Suelovesgames from Oldie but Goodie The graphics are rough, it's a bit clunky, there are limited hints and it's timed. Despite all this, I still loved it! I remember playing it many moons ago when it first came out. Sometimes, I would have to replay a level quite a few times, simply because I ran out of hints and couldn't find the objects. It just adds to the fun. You have to collect gems to get extra hints but there isn't a lot of them. You're lucky to get one extra hint per level. It's such a no nonesense HOG and I love the quirky scenes. There's so much going on. Weird objects in weird places. It's like they've just thrown it all in there haphazardly sometimes. I loved all the fun and interesting facts about Everest between levels and the videos were brilliant too. Rated 5 out of 5 by upsysydaisy from Hidden Expedition Never Disappoints That's my story and I'm sticking to it !! I just love the Hidden Expedition games. I own all of them and play a couple at a time. I am currently playing HE: The Uncharted Islands...the graphics are absolutely stunning ! Check it out and be pleasantly surprised. Everest was a lot of fun, excellent HO game. Very informative of all the different locations, the REAL videos were interesting as were the accompanying narratives. I loved the challenge of the very well hidden items and the colorful locations added to the fun, as did my colorful opponents who were trying to keep up with me. A couple of times they got too close for comfort. I enjoyed the additional puzzles/games, too. My one negative of my Everest trek is that rotating the puzzle pieces had to be done with the space bar and it slowed me down sometimes, simply because it was out of the norm and I lost precious game time just remembering to make that minor adjustment from mouse to bar. I just purchased the newest Expedition and I'm eager to get started. Hopefully more of these great Expedition games will be finding their way to the Big Fish inventory ! Rated 5 out of 5 by shirleysmn from Hidden Expedition Everest I reciently loaded sys.10 on my comp. & this game no longer works w/this (10) is there a higher version? Rated 5 out of 5 by befuzled from Playable over and over- great game I have owned this game for years and have played it many many times. It's almost all HO, which is what I love about it. I often base my other HO choices on this game.. always looking for one as good as this. If you dont enjoy a game based on mostly HO, then this might not be your thing.. if you really love the good HO, then count on being able to play this game more than once.. Rated 5 out of 5 by bellecat1 from Hidden Expedition, Everest This is my favorite game of all time. I do love all things everest but this game is just so cool. Challenging and not all dark all the time. I play it over and over. LOVE IT. Rated 5 out of 5 by Raven333HalfEvil from Very fun This is one of my favorite games! Rated 5 out of 5 by ntexas99 from One of the Best HO games out there If you like strictly HO games without all the adventure and clue-finding nonsense, then you will LOVE this game. 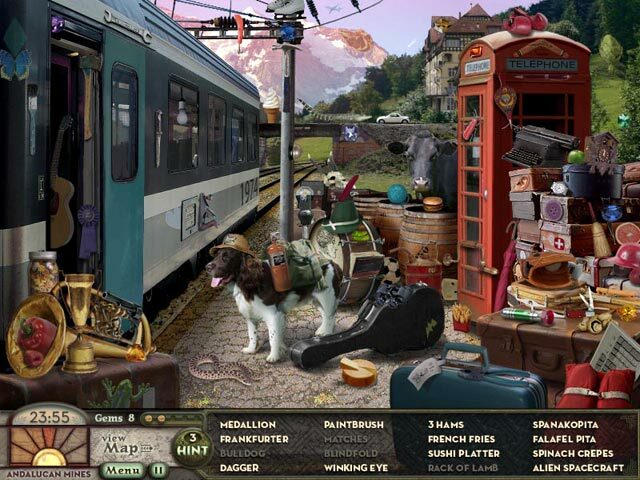 Offers straightforward HO scenes, where you find the hidden objects within various Mt. Everest adventure scenes. Earn five HINTS in each scene by finding the hidden gems, and earn extra TIME by finding the hidden hourglass in each scene. Mini-games between scenes are fun and challenging, and the music is perfect for lazy extended play. Overall, an excellent HO game. pros: pretty good graphics and color, decent music and sound effects, items are fairly easy to locate, no penalty for clicking on the wrong object, no penalty for quick-clicking so you can race through each scene if that is your preference, and although it is timed, there is so much time that you won't even need to find the hidden hourglass in each scene to give you the extra bonus time. Nothing offensive or suggestive, so it is definitely family friendly, and level of difficulty is varied enough for a wide range of ages. Easy and relaxed play, and there are a few hidden bonus items that add to the fun. cons: would be nice to have a little more variety in the mini-games, and also would be nice if you didn't replay several scenes over and over again, although doing so does make it easier to find previously-found objects. Color could be brighter, and graphics could be a little sharper, but overall, it is one of the better strictly HO games out there. final word: I give this one a solid 9 out 10 for the strictly HO genre if you like this game, and prefer strictly HO versus adventure, you will also like all the games in the Big City Adventure series, and may also want to try Route 66 for a very relaxed version of an HO game with nostalgic music. 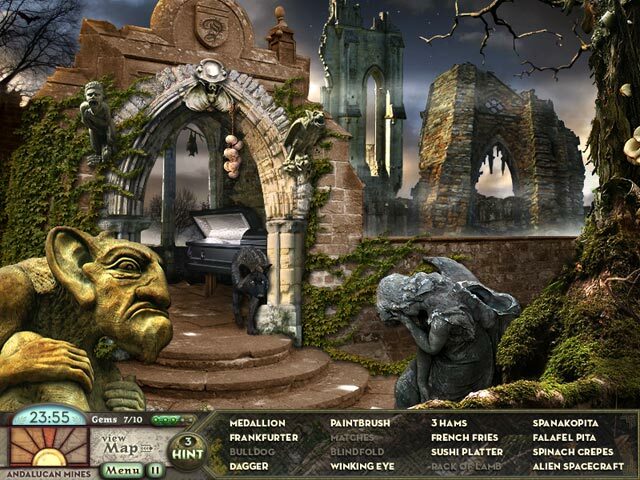 Rated 5 out of 5 by DeboraJean33 from One of the best hidden object games I have ever played. 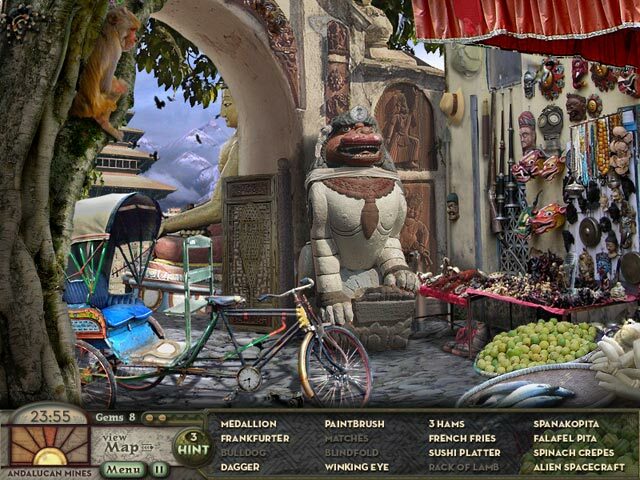 This game was challenging, fun, exciting, and if you love hidden object games - this is one to definitely try! Rated 5 out of 5 by SrRat from Absolutely the best! I have all of the Hidden Expedition games and I LOVE this one the most. I am definitately a HOG head. This game fits the bill. The scenes are beautiful, the music is sometimes spooky, sometimes lovely, depending on where in the world you are - love that aspect of this game. I have many other HOG games but I find myself coming back to this one often. I recommend it 100%.